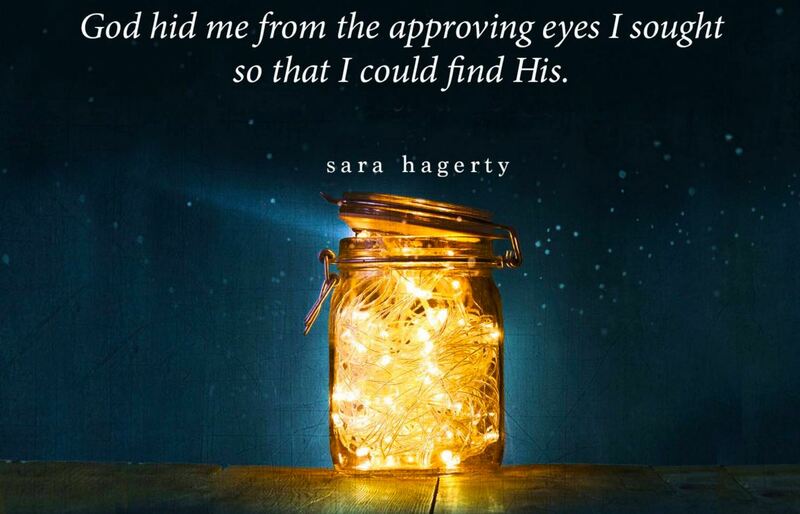 In the new book Unseen, Sara Hagerty suggests that He is the only One who understands the value of the unseen in our lives. When this truth seeps into our souls, we realize that only when we hide ourselves in God can we give ourselves to others in true freedom—and know the joy of a deeper relationship with the God who sees us. Our culture applauds what we can produce, what we can show, what we can upload to social media. Only when we give all of ourselves to God—unedited, abandoned, apparently wasteful in its lack of productivity—can we live out who God created us to be. If you sometimes feel invisible (don't we all from time to time?! ), this book is for you. 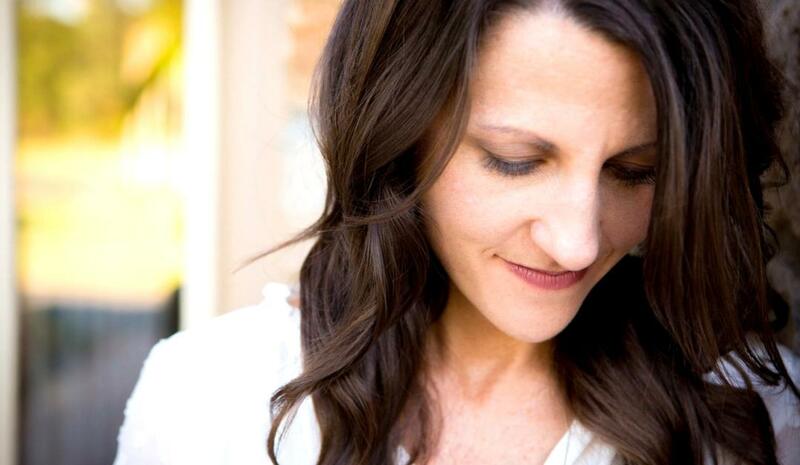 Milk & Honey Magazine was lucky to score an interview with the wise author, Sara Hagerty! What sparked your desire to write Unseen? Most of my life consists of the middle minutes -- folding laundry and running through the post office and cleaning the grout in my bathroom tub (okay, maybe I don’t do that very often) – and yet somewhere along the way, I started to believe that my inherent, God-given desire for greatness meant that all of that was wasted, unless it was something I could measure outwardly. But then I wanted to write Unseen because while I’d lived mostly unseen, I had found His eyes upon me there. After just a few instances when I noticed Him, seeing me (both in my everyday life and in His Word), and I felt the rush of security that comes when the One who made you catches you being insignificant (cleaning the grout) and likes you there … and I wanted more. And then, after years (into a decade) of having those middle minutes infused with whispers from God, I wanted other normal people like me to see His eyes upon them when they were being … well, normal. Is there beauty behind being hidden amongst the craziness of the world? The Psalmist says “my frame was not hidden from you when I was made in secret” (Psalm 139:15). The notion of a single, encased (very “hidden”) moment being an object of God’s eyes has implications for all of the minutes of our day. His observation – His expression towards us on a day that we might consider one of our worst, completely veiled from even those dearest towards us, His wink – well, it might just impart a new beauty. It can even make 3 o’clock on a Tuesday afternoon at the DMV to be beautiful. So, yes. There is beauty under those eyes and within the craziness of the world. How can we "unplug" from the busy world? In the midst of a stretching season, after I’d released my first book and when I was caring for five children at all hours of the day, I invoked what I call the “Wonder Hour”. Several times a week, I blocked off one hour during an otherwise productive afternoon and scheduled an “unproductive” time with God. There was no box-checking in this. I was merely deciding that my productivity-oriented self needed a new habit instilled into its schedule, perhaps even before the heart behind it came. So I let my schedule reflect my desire to reach for God in the middle of my day and in the middle of my life, even though sometimes wanted to crawl out of my skin, right there. During the wonder hour, I would read Scripture – I imbibed the Psalms during this season – or poetry about Him or books that lifted my eyes away from all that I am not (that ticker tape that wants to play across our minds all day long) and I put them on Him. Some days during my wonder hour, I would just take a longer-than-normal walk in the woods and feel the leaves crunch under my feet and look at how the sun paints the backs of them when they blow in the wind. Wonder doesn’t just happen naturally, yet all day long it is available. The monarch migration coming through Kansas City in September, the Aspens in Colorado in the fall, the perfectly-formed blue robin’s eggs just outside your kitchen window. All of these are inviting us to look up at God and praise Him. Psalm 19 tells us that the heavens declare the glory of God. Day after day after day after day they are speaking of Him. Building a wonder hour into my schedule began the process of training my eyes to look at Him. Even when I might otherwise fill it with things I “needed” to do. Our culture applauds what we produce. Is that skewed/harmful? I found that I often hid behind my productivity. I felt better when I was tasking for God and with a list underneath my name of all I’d accomplished. This was internal, but certainly rewarded by a culture that celebrates robust CVs and children who are over-achievers and moms who can somehow manage to do-it-all. My productivity often kept me from tapping into what was happening on my insides. When I felt bad about me – instead of talking to God or cracking His Word to see what He might have to say about what He made in me – I would reach out to a new nonbeliever or add a project to my list or make another meal for a friend. In the short term, I suppose this wasn’t a problem, but over time I found I had lost what was intended to be my greatest prize: my secret – private – interactions with God and His Word. Advice for young women struggling to know their identity? Perhaps consider approaching His Word in a new way. About every week I find myself praying as I open His Word: “God, I barely know you.” These are not just words, they are a chance for me to tell my soul (and God) that I am only at the beginning of the beginning of the beginning of discovering Him … of falling in love with Him. We often invest in where we see our impact, our output, our “destiny” without first asking Him who He is and who He made us to be. And that ask isn’t a once-and-done Bible study. It’s a lifetime of asking. At forty, I’m still asking Him (yes, even this week): show me new sides of Yourself, God, that I haven’t yet seen. Show me who I am in You. I find this admission sets me up for a lifetime search, rather than a one-time bucket list item, checked. As a wife/mother, what Godly advice do you have for others? The more you allow yourself to hunger for God, the better wife and mother you will be. As I fall more in love with God, my marriage grows roots. As I fall more in love with His Word (like, the kind of love that makes me crave it and not just dutifully approach it like a reverent daughter), I find myself more present with my children. If you’re not there yet, with this hunger (which you likely aren’t – most of us need years or decades to cultivate hunger for God), I’d suggest starting with the single prayer: God, I want to know more of You. Help me get there.